"The legislation [to mandate HPV vaccine], sponsored by Sen. Bev Hammerstron (R-Temperance) passed 36-1 in the [Michigan] Senate back on Sept. 20. The legislation included an amendment that allowed parents to opt out if so desired. However, there continued to be strong opposition to the bill in the House. The basis of the opposition was that the U.S. Food and Drug Administration (FDA) had only approved the vaccine in June of this year, and there are claims that some individuals have had negative reactions to the vaccine. What's more, the virus is spread through sexual contact, and some view the idea of presenting the vaccine to girls in schools as a subtle signal that they're expected to be sexually active." - Legislative Update from Sue Waltman, founder, MOM (Michigan Opposing Mandatory Vaccines). During the past few months, Michigan parents took the time and made the effort to educate Michigan state legislators about the potential risks of HPV vaccine and the inappropriate attempt by those trying to persuade politicians to mandate the vaccine for all sixth grade girls. 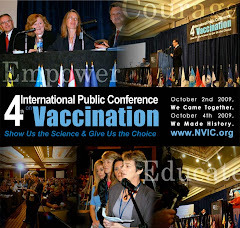 The vaccine education effort was spearheaded by Michigan Opposting Mandatory Vaccination (MOM) headed by Sue Waltman, who has been a longtime informed consent advocate working in Michigan to defend parents' right to make informed, voluntary vaccination decisions. When state legislators have full and accurate information about the benefits and risks of new vaccines that state health officials and drug companies want to mandate supplied by citizens who will be affected by those mandates, legislators often make different choices than if they only hear from drug company and physician organization lobbyists, who profit from vaccine mandates. It is extremely important for citizens in every state to understand that they CAN affect the choices their legislators make with regard to new vaccine mandates IF they stand up and make their voices heard. Congratulations to MOM and the other parents and activist citizens in Michigan who cared enough about protecting their informed consent rights to fight for them. "No forced vaccination. Not in America. " "Last week, Prof Francis Mmiro, the lead investigator, said the baby [HIV] vaccine trial has been successful so far, adding that he hoped the [HIV] vaccine will be added to the many given to babies at birth and thereafter like polio, tetanus, hepatitis B and measles. Preliminary results are expected by mid 2007 in the two-and-and-half-year study." There are different HIV (AIDS) vaccines in various stages of clinical trials in the U.S. and other countries. In the past, evaluations of the toxicity of experimental HIV (AIDS) vaccines were conducted in adults at high risk for HIV infection, such as IV drug abusers and those with multiple sexual partners. However, children have now become the preferred testing ground for experimental HIV (AIDS) vaccines and will be the eventual target for routine vaccination. Newborn infants in Africa are now being enrolled in clinical trials. In the U.S., future HIV vaccine trials will involve pre-adolescents and babies. A worldwide mass vaccination infrastructure is being created by governments in partnership with multinational pharmaceutical companies, the World Health Organization and private donors such as Bill Gates and the Catholic Church. During the next decade, an international campaign to vaccinate every man, woman and child with HIV (AIDS) vaccine will begin and societal sanctions, including denial of an education and health care, may well be levied against citizens in America and other developed countries who refuse the HIV (AIDS) vaccine. What many people do not realize is that the financing of world vaccination campaigns are dependent upon forcing the citizens of wealthy nations to purchase and use vaccines in order to finance the supply of those same vaccines to underdeveloped countries at a reduced rate. For example, hepatitis B disease is prevalent in Asia and Africa but has never been in the U.S.; and HPV associated cervical cancer occurs at a high rate in underdeveloped countries without routine pap smear screening but cervical cancer is at an all time low in the U.S.. Still, American children are forced to get hepatitis B vaccine or be denied an education and the CDC has told told doctors that pre-adolescent American girls must get HPV vaccine. "The keystone of the [global mass vaccination] system is that the research costs [of drug companies] are recouped in North America and Europe and the vaccines are sold in the developing world at much, much lower margins...the relatively high rate of childhood vaccination seen lately in most parts of the world is the result of that system," explained Plotkin. 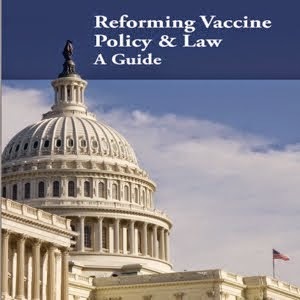 One-size-fits-all forced vaccination policies target the genetically vulnerable for injury and death and violate the human right to informed consent to medical risk-taking. The casualties of mass vaccination policies are never acknowledged or counted in the cost benefit analyses drug companies and public health officials publish. This will be especially true when the CDC announces every child in America must be injected with just a little bit of the HIV (AIDS) virus. They're not greedy, they're over-regulated. The result is fewer pills to cure our ills. The power and influence of the pharmaceutical industry in American health care is profound. Attorneys, such as Richard Epstein, and medical doctors inside and outside of government who profit from their association with the pharmaceutical industry, often call for less stringent regulation of drugs and vaccines. They want to do away with almost all government requirements that vaccines and drugs be proven safe and effective and they oppose strict guidelines preventing federally employed scientists and medical doctors from taking money from drug companies. It is dangerous when medical doctors and public health officials use loosely regulated vaccines (and drugs such as anti-depressants and cancer treatments) on citizens while simultaneously enjoying immunity from accountability in a court of law when those prescribed vaccines and drugs injure and kill. Since September 11, 2001, there has been an assault by drug company lobbyists on government regulations and informed consent rights when it comes to the consumer's right to have full information about the risks of vaccines and drugs and make voluntary decisions about using them. The result of this assault on the informed consent ethic has been to endanger the lives of all Americans who seek medical care. "Buyer Beware' is an old motto that is truer now than it has ever been when it comes to health care in America. What part of "no thanks" do CDC officials and drug company execs not understand when it comes to most Americans refusing to get a flu shot every year? Despite all the hype about how 36,000 Americans die every year from influenza and 200,000 more are hospitalized, it is hard to find somebody who knows anybody who was hospitalized or died from infection with one of the three influenza viruses contained in the flu vaccine. Yet, those figures keep getting bandied about by public health officials, who steadfastly refuse to produce the hard scientific evidence to back up their numbers. In light of the fact that only 20 percent of all flu-like illness in any given flu season is actually influenza, inquiring minds want to know the truth and are asking for proof that backs up the rhetoric. So far, the flu vaccine studies published in the medical literature fail to give credence to any of the inflated influenza mortality figures the CDC is using to try to scare the people. Guaranteeing Drug Company Profits - Unable to frighten Americans into getting an annual flu shot, public health officials have taken to playing the sympathy card. On behalf of drug companies, they are pleading for the people to roll up their sleeves, dig deep into their pockets and shell out some bucks for the flu shot to guarantee the drug companies big profits. It doesn't look good on drug company stockholder proft/loss statements when unused surplus vaccine has to be dumped after the flu season is over. No, wait! Now public health officials are saying that there is no such thing as the beginning and ending of a flu season: the flu is actually a killer all year round so everybody should get vaccinated all year round! Exercising the Immune System - It wasn't so very long ago when the flu vaccine was only recommended for those at very high risk for suffering serious complications from influenza infection, such as the elderly or those already seriously ill. The majority of healthy young Americans accepted getting the flu every couple of years as a part of life. It was a great excuse to take a few days off from school or work and stay in bed with plenty of kleenex, Vicks vapor rub, OJ, chicken noodle soup and a good book. Then, after experiencing the sore throat, chills, fever and other symptoms of acute inflammation that are part of a robust immune system exercise, often recovery from influenza was followed by an extended period of good health. And when that same strain of influenza came around again, there was either no re-infection (immunity) or fewer and milder symptoms of illness. Superior Natural Immunity - Experience with type A and type B influenza infection has another bonus: immunological memory that could help resist the ravages of a nastier version of type A or type B influenza that comes around someday. Flu vaccine only provides temporary immunity. So pandemic flu planners are counting on the superior, longer lasting immunity of those Americans, who have actually recovered from influenza infection, because drug companies won't be able to produce pandemic flu vaccine fast enough to provide doses for everyone for up to a year after the pandemic begins. If public health officials are depending upon Americans with qualitatively superior cell mediated immunity to influenza, which can only be obtained from recovering from the flu the old fashioned way, to limit morbidity and mortality from a future pandemic flu - then why are they insisting that every American get annual flu vaccinations from birth? 7. Eat a healthy diet rich in vitamins and minerals, especially foods containing vitamin C (such as citrus fruits) and vitamins A and D (such as cod liver oil) and spend a few minutes a day in sunlight to help your body make and store vitamin D.
There is little indication that CDC officials are going to stop asking Americans to roll up their sleeves and guarantee drug companies flu vaccine profits. There is also little indication that Americans are paying much attention to that request. In the wings: most likely a CDC and drug industry plan to try to get politicians to mandate the stuff. Parents in every country of the world continue to take healthy, bright children of all ages to pediatrician's offices and public health clinics to get vaccinated and then, tragically, watch their children die or be left brain injured. After a child is killed or injured by a vaccine or combination of vaccinations, almost always government health officials deny and cover up what really happened. They are more anxious to reassure the public with a lie than to honestly acknowledge the truth about vaccine risks and take action to minimize them. It is no wonder that parents have become mistrustful of those operating a mass vaccination system more concerned about protecting the status quo than protecting the lives of innocent children who have no voice and, often, have no choice. On May 31, 2003, Jackson Presley Diamond was born to Chaney and Lee Diamond, of Chicago. A healthy 9 pound boy at birth, his Mom nursed him for eight months and she said "he slept well, ate well, grew well, never cried too much." Jackson met all his developmental milestones during the first 18 months of his life, and he loved to dance, pretend to talk on the phone and have his parents read his favorite books to him. Jackson was an energetic, high functioning toddler right up until Dec. 8, 2004, the day he went to his pediatrician's office for a well- child check-up and got vaccinated. Within 24 hours of his vaccinations, which included the DTaP shot, Jackson suffered a collapse/shock and stopped breathing. Brain inflammation and seizures followed. During his hospitalization, doctors denied the vaccinations he received were responsible. His mother said: "Every time we would see a new doctor, we would make sure they knew about the vaccinations Jackson had the day before. When we would ask each doctor if they thought it could be a reaction to the vaccinations, they would dismiss the idea very quickly without a second thought. 'Vaccination reactions don't happen this way' one of them told us. " A reaction would happen weeks after, not the day after." Jackson's parents encountered a typical response by doctors who are not taught in medical school how to recognize a vaccine reaction. Unfortunately, because most medical doctors have been misled by the rhetoric of CDC and AAP officials denying the reality of vaccine induced brain and immune system injury, out of ignorance many doctors end up misleading parents whose children have suffered vaccine injury. Therefore, many parents do not know why their children regressed physically, mentally and emotionally after vaccination until they do their own research and become educated about the risks and complications of vaccines. The National Childhood Vaccine Injury Act of 1986 makes it clear that brain inflammation, which occurs within 72 hours of DTaP, DTP, DTP-Hib vaccination, is presumed to be caused by vaccination when no other cause can be found. Jackson's collapse/shock and brain inflammation, which ended in serious brain injury, fits the classic post-DPT and post-DTaP vaccine reaction profile. In the absence of another credible scientific explanation, Jackson is presumed to be vaccine damaged.